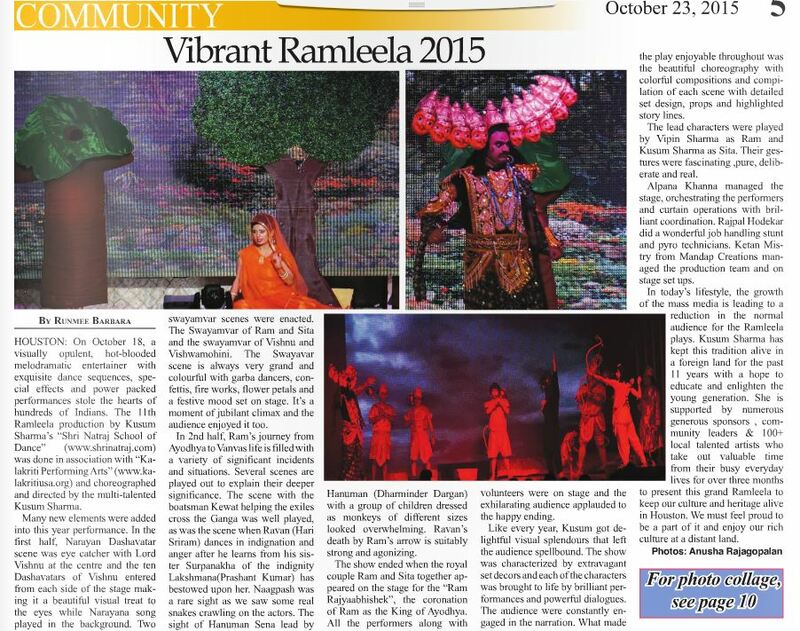 13th Annual Ramleela in Houston this year on September 24th 2017. 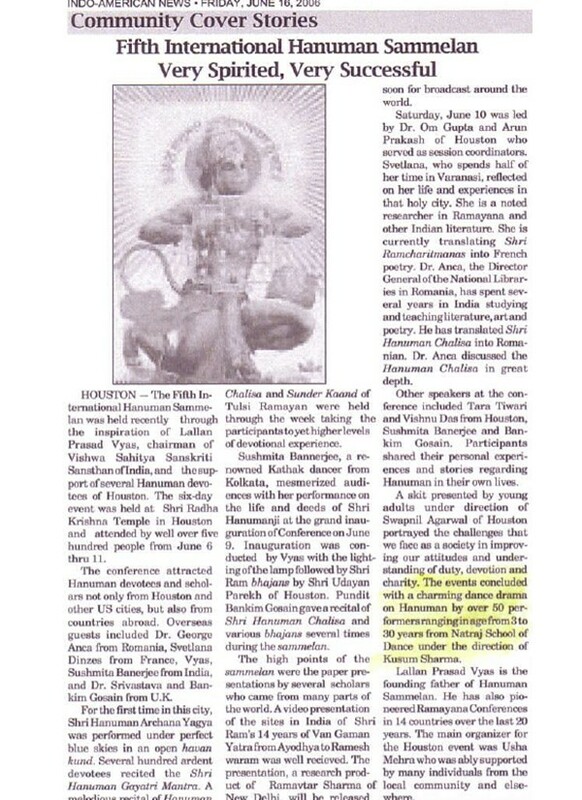 From 2005 to 2017. 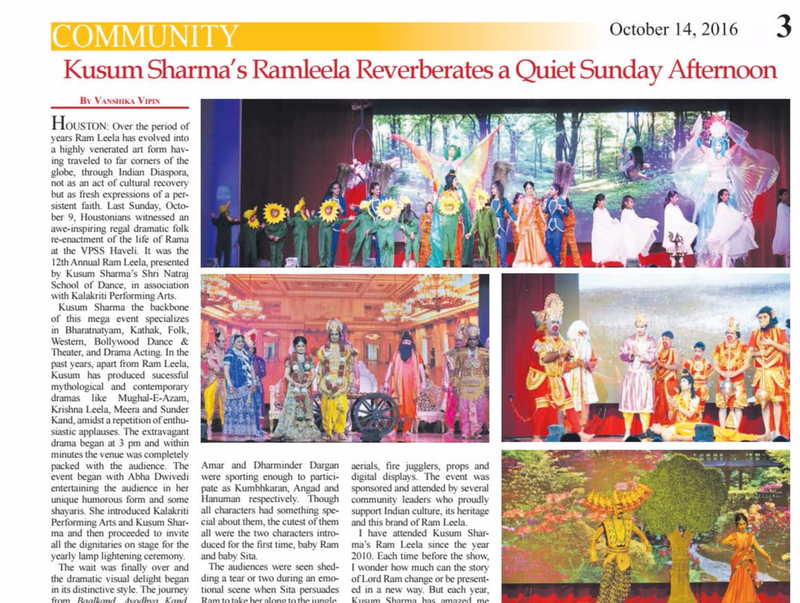 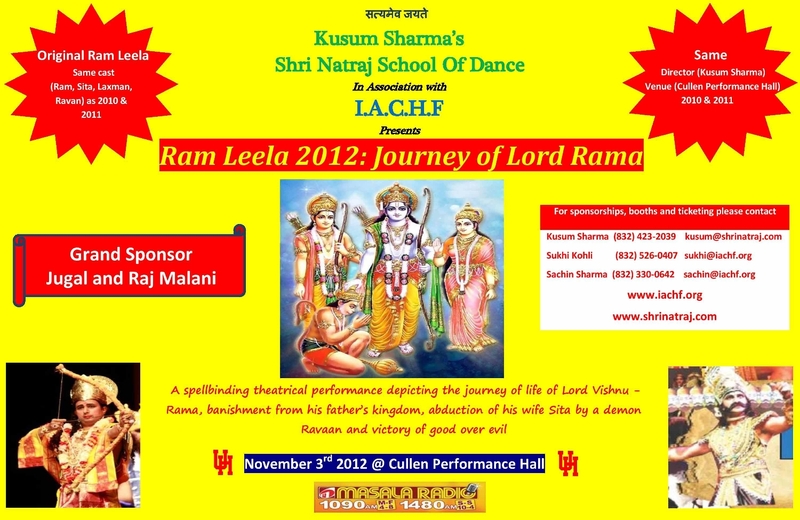 Kusum Sharma's Shri Natraj School of Dance has been conducting Ramleela since 2005 in Houston. 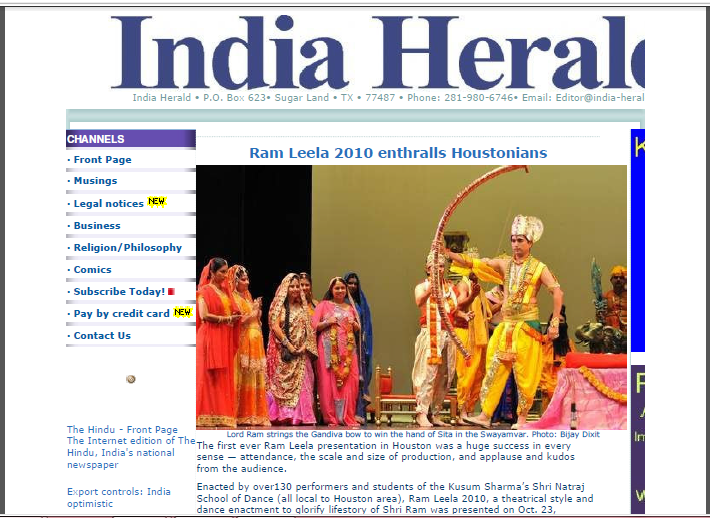 Over the years Shri Natraj has teamed up with Shri Radha Krishna Temple, Hindus of Greater Houston, Gaudiya Math, Indian Culture Center, Shri Sita Ram Foundation, IACHF to bring Ramleela to Houston. 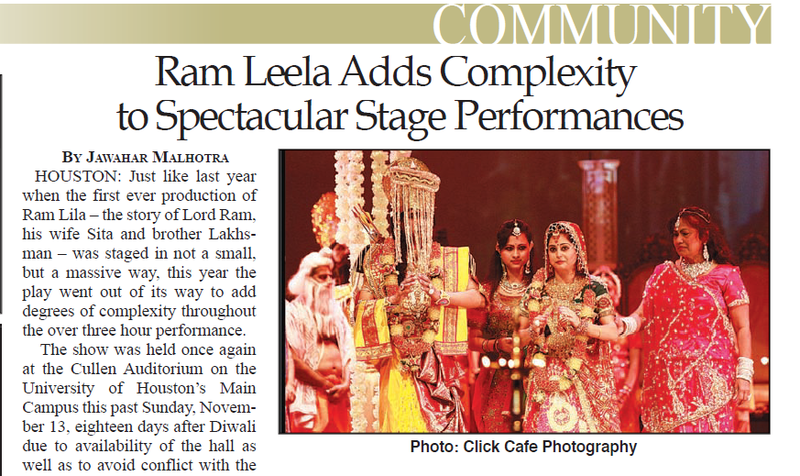 This year Shri Natraj is teaming up with Kalakriti Performing Arts to bring the Ramleela with brand new episodes and spectacular effects. 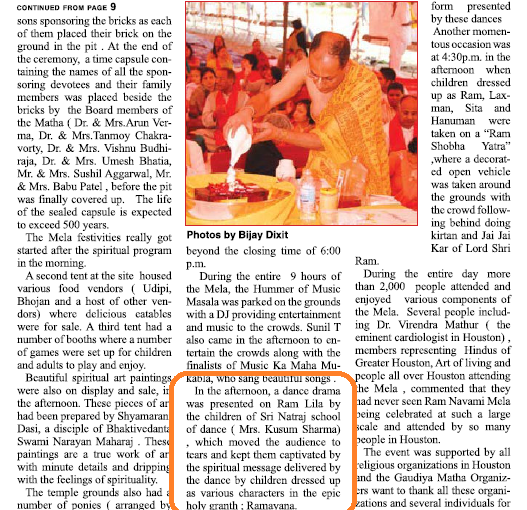 Watch 2011 video clip below.